Home » Blog » Aging: It Affects Your Mouth, Too! Aging: It Affects Your Mouth, Too! The aging process is something that many people try to start managing quite early these days. Men and women in their twenties and thirties are getting Botox to prevent wrinkles from forming too early. Those in mid-life may be well-acquainted with cosmetic anti-aging treatments, or with the lines on their face and body. We don’t often talk about the ways that age affects oral health, but we should. The more we know, the better we can manage the aging mouth. Periodontal disease. The changes that occur in the gums as we get older don’t have to rob us of comfort and the ability to smile with confidence. In this day and age, gum disease should not be considered a normal part of aging. We know too much to fall for that. Whatever your age, gum health can be managed with conscientious brushing and flossing. If you have questions about these practices, we are more than happy to demonstrate during a routine cleaning. 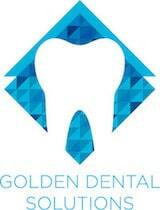 It is our goal to help each of our patients avoid unnecessary dental disease. Dry mouth. The amount of saliva that flows through the mouth is crucial to comfort and disease prevention. Dry mouth may coincide with a general health problem, such as diabetes. It may also occur as a side effect to medication. In addition to sipping water frequently and limiting alcohol consumption, individuals with dry mouth should see their dentist regularly. We may even suggest more frequent visits for those with dry mouth. Bone loss. Bone health becomes an important health topic, especially for women, as we age. The density of the bones is related to oral health because teeth are similar to the bones in our body, and also because every tooth is rooted in the jawbone. If a loss occurs, teeth may loosen. Women are encouraged to obtain bone density tests as recommended by their healthcare provider and to manage bone health with proper supplements of calcium and vitamin D.
We understand how the mouth changes over time, which enables us to help you keep your healthy smile for life. To visit our friendly dental office, call (303) 277-9600.